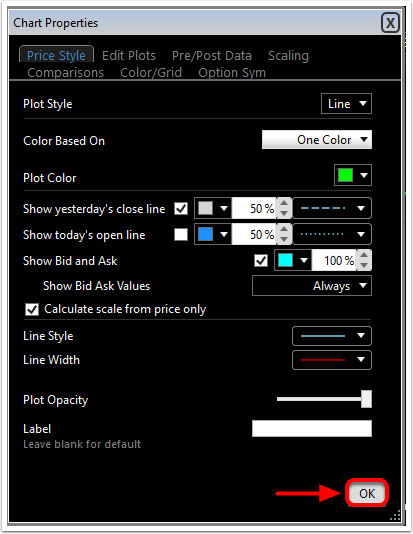 There are seven plot styles to choose from and each has its own unique properties that you can control. 1. 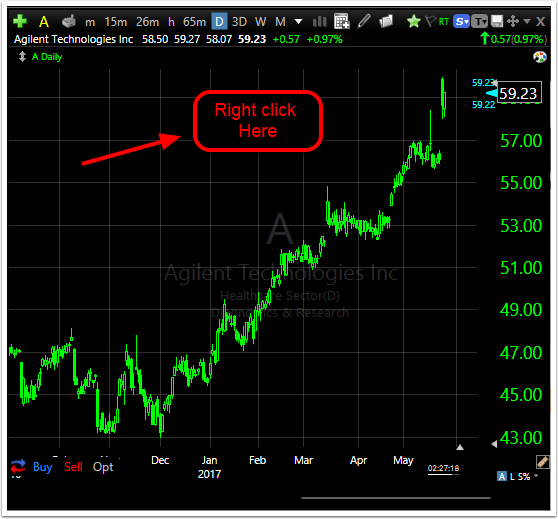 Right-click anywhere on the chart template. 2. 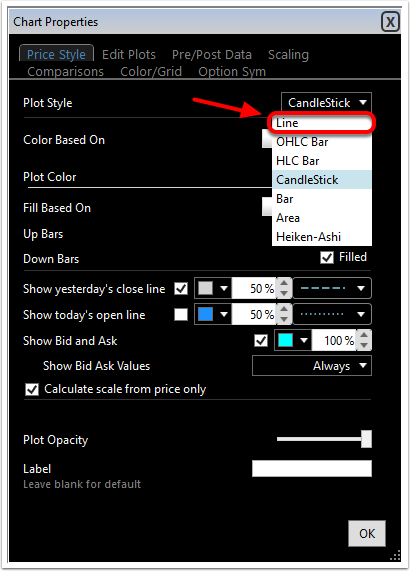 Select Edit Chart Properties from the menu. 3. Click on the Price Style tab. 4. 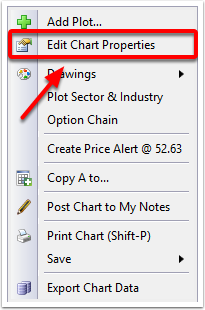 Click on the drop down menu across from Plot Style. 5. 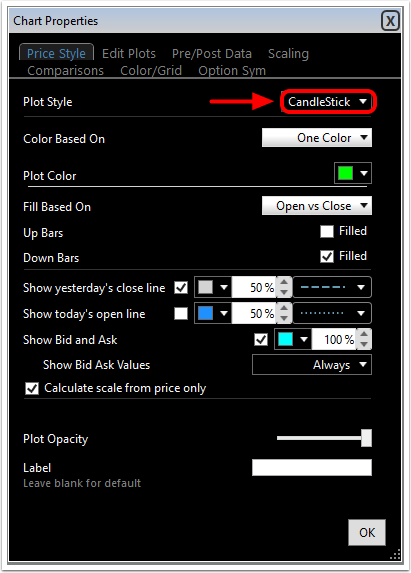 Select the plot style you are looking for. 6. Click on OK to finalize your choice.